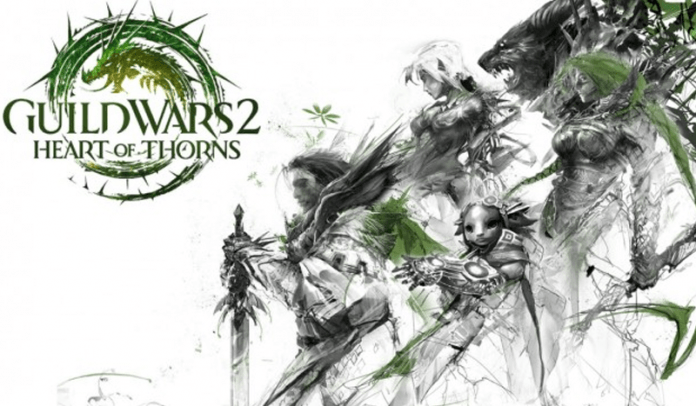 The much anticipated Masteries from Guild War 2‘s upcoming expansion Heart of Thorns just got an announcement from ArenaNet. The gist of the announcement and some analysis is available from Kyt Dotson at SiliconANGLE, but here’s the juicy bits for the ogre’s who play the game. At one mastery point players will receive access to Pact Mentor, which provides a special mentoring tag and chat icon. While the mentor tag is on the player will be visible on the map and marked as a “mentor” or a helper, and when they speak in chat it will highlight their messages. Having this track active also adds 5 percent swiftness to the commander and their party when in a player city (which act as in-game social areas). More swiftness in cities comes from going further down this track. Also at one mastery point players will receive access to Productive Downtime, which provides a crafting XP bonus for every item crafted. Guild Wars 2, like most MMOs, has an item crafting system that has players gather resources and make them into useful items (weapons, armor, equipment, other consumables, etc.). Like everything else in GW2 crafting must be leveled, this will make that go faster. At two mastery points players get Supply Line Management, which provides “access to a network of regional merchants across Tyria.” There appear to be seven merchants and total and they will randomly move around the world of Guild Wars 2and will provide new strange items and perhaps old crafting recipes that have been retired. This mastery point also provides 15 percent swiftness in cities. At three mastery points Noblesse Oblige opens up, which allows players to revive lower-leveled players faster, and revives also remove downed penalties such as armor damage. This is another socially-oriented track element that means that veteran players can assist lower leveled players more easily when they get killed. Although there is no “cost” to armor damage (just time to get it fixed) so the social element here is that it keeps new players in the field faster by resurrecting them faster and making it so they don’t need to visit a repair station as often. Finally, at five mastery points Advanced Logistics is opened up, which allows players to turn on “auto-loot.” This is more of a quality-of-life user experience enhancement than anything as it means that GW2 players no longer need to press ‘F’ to pick up items dropped by slain enemies and it is just vacuumed up into their inventory. It also adds 30% swiftness to the player in cities. Looking at the the track and it’s adjoining rewards, going all the way up the track will give players (and their parties) up to 30% swiftness in cities just by themselves. This means that Pact Commanders (people who go up 5 in this track) will be flying around Lion’s Arch, The Grove, Rata Sum, and everywhere else players might gather in the game. And World vs. World players will likely love the top tier Advanced Logistics, because it means no more needing to pick up bags during massive zerg vs. zerg fights. Looking forward to those other Masteries? Let us know here at GameOgre. Septera did not rate this post. ugmsrocks09 did not rate this post. More updates are always welcome! Aerobous did not rate this post.